It’s much easier to start the day with a cup of freshly brewed coffee. It’s not quite as nice, however, when you notice that the coffee machine is full of limescale. To prevent this from happening, we’ve put together a few tips to help you when descaling your coffee machine. How does limescale get into the coffee machine? Lime is already dissolved in tap water as magnesium and calcium ions. Heating the water in the coffee machine changes the solubility of the lime. It is deposited as a white coating and cannot be removed solely with water. This lime is not harmful to your health, but it can have a negative effect on the flavour of the coffee. Limescale in the appliance also prevents the water from being optimally heated and so the coffee tastes weak. For this reason, it’s worthwhile to descale your coffee machine on a regular basis. The process that causes damage can be illustrated using the example of a coffee machine. Here, the water flows through a U-shaped heating element, or heating coil. The water is cold at the beginning of the heating coil but reaches brewing temperature at the end. Since lime is more rapidly deposited at higher temperatures, limescale deposits can appear at the end of the heating coil even if they are not visible at the beginning. If the water is hard, a plug can quickly develop, which then clogs the coffee machine. Limescale can even destroy components with extreme calcification, which is called lime corrosion. A calcified heating element also requires much more energy to heat the water. Germs and dirt stick to porous limescale surfaces, especially in the warm and humid climate of water-conduction appliances. By regularly descaling, you increase the service life of your coffee machine and ensure food-safe, hygienic cleanliness. How often should the appliance be descaled? As is often the case, there is no general answer to this question. This is because the rate at which limescale develops depends on the water hardness on one hand and the way the appliance is used on the other. 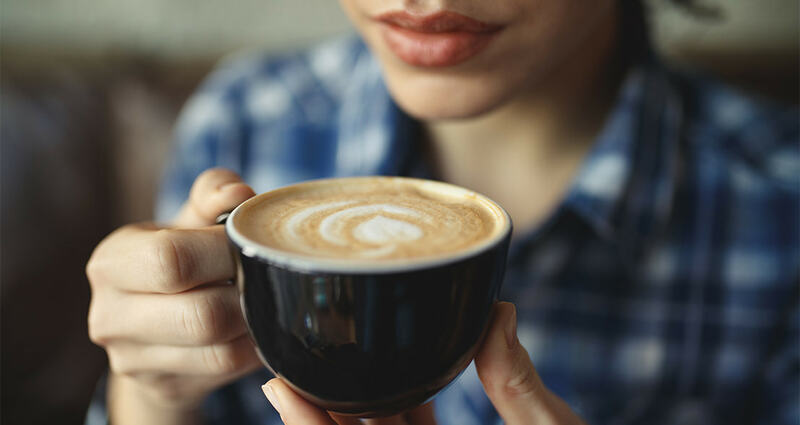 With normal use for a few cups of coffee per day and soft to medium-hard water, it’s sufficient to descale the appliance every three to six months. With hard to very hard water or very frequent use of the appliance, it may be worthwhile to descale it once a month. You can check the hardness of the water in your area by contacting your waterworks, for example, via the respective website. As a general rule, it’s not harmful for the appliance to be descaled frequently. If descaling is performed too late, however, it can result in damage to the appliance. With a classic coffee machine, you normally dissolve the limescale remover in water. It is poured into the appliance’s water reservoir. You then let it run through the appliance once. Next, rinse the appliance twice with fresh water by allowing water to run through it again. Fully automatic coffee machines often have a special descaling programme. In this case, you should follow the instructions for your appliance. Always put a container that is large and high enough under the nozzles, because the draining water is hot and can spray out. Which limescale remover should I use? HEITMANN offers various high-performance limescale removers for coffee, pad, capsule, and espresso machines, as well as for fully automatic coffee machines. 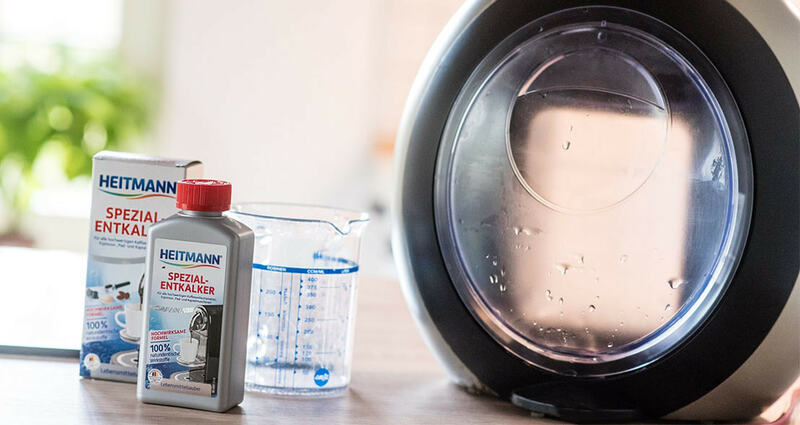 All HEITMANN limescale removers are based on natural acids, as they are found in nature, such as citric, malic, tartaric, gluconic, or lactic acid. This is environmentally friendly and reliable. It’s worthwhile to descale your coffee machine regularly. 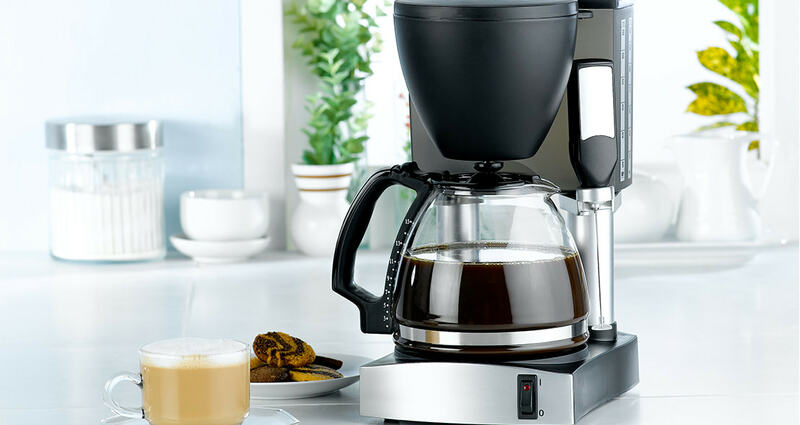 The appliance will last longer and use less energy, and you prevent germs from building up—so you can enjoy fresh aromatic coffee, cup after cup.